Colorado has some of the most iconic fall foliage destinations in the Rockies, like the famous Maroon Bells in Aspen, the popular Lizard Head Trail of Telluride and seemingly countless scenic drives over mountain passes like Le Vita and Boreas. These classic destinations are tried-and-true places to soak in the season, but this year, consider venturing off-the-beaten-path the get your fill of fall. In late summer and early fall, Colorado’s high country is unbeatable. 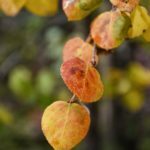 The air is crisp, aspen trees are popping with golden hues before most lower elevation counterparts, and willows paint the alpine zone in yellows and reds. With this trailhead sitting atop 11,670-foot Guanella Pass, it might be high, but it is relatively easy. This 4.1 mile out-and-back hike features less than 1,000 feet of elevation gain but the views are stunning! 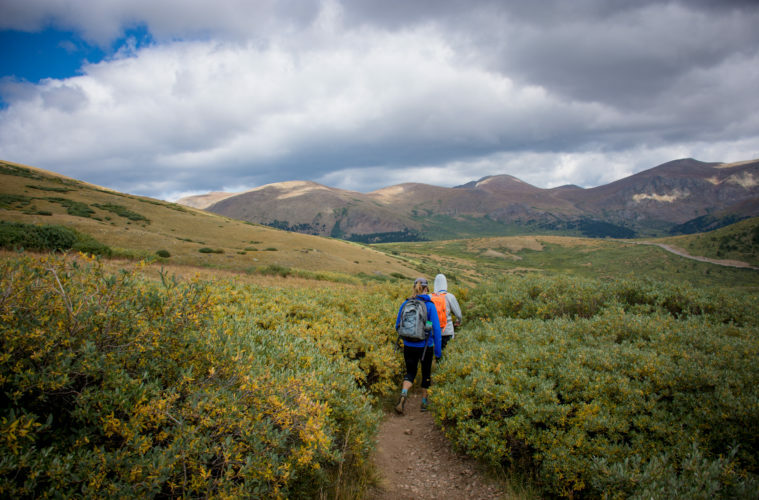 The Colorado Trail traverses over 500 miles from Denver to Durango and features access points ranging in elevation from 5,500 feet to 13,000 feet. At Kenosha Pass (9,997 feet), the Colorado Trail is suitable for all levels of hikers and the foliage is impressive. On the west side of the highway, the trail is immediately engulfed in aspen trees. On the east side, hikers (and cyclists) will find expansive views of aspen-covered mountains. Whatever direction you travel, plan to visit during peak color change for a truly spectacular experience! 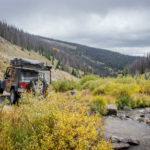 If you’re looking to mix-and-match a scenic drive with a long, technical day on the trail, consider the 4×4 route to a moderately difficult fourteener above the historic mountain town of Creede. 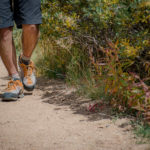 The West Willow Creek Trail is a 4WD route that meanders through aspen stands until reaching the southern trailhead for 14,022-foot San Luis Peak. 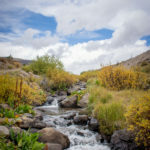 Starting above treeline, follow a short, steep climb to connect with the Colorado Trail. Follow this until the final 1-plus mile connector trail (Southern Ridge Trail) to summit San Luis Peak. The entirety of the route is above treeline, so early season access is best. This popular trail starts with a climb, passes by a historic cabin and features great views of fall colors along the way. At 3.8 miles, Mad Creek Trail is on the shorter side, but riders have two options to extend it. Option 1: Extend to the Madhouse Trail (3 miles) with added climbs, fun descents and great fall colors. Option 2: Go big with the Mad Creek/Red Dirt Trail loop by way of Saddle Trail. 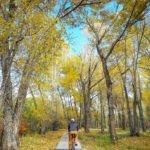 This 10-mile route has steep, rocky sections, great descents and unbeatable sections of aspen trees and beautiful fall foliage. 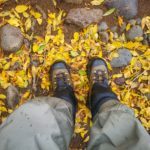 The Gold Dust Trail will change your leaf peeping and fall foliage expectations for years to come. This 8-plus mile route features pine stands, creek crossings, open meadows and willow-filled landscapes, rocky descents and smooth singletrack through tunnels of aspen trees. The ride is best set up with a shuttle, so plan ahead. Park one vehicle at the trail terminus along Pine Street outside the town of Como and another at the trailhead. To reach the trailhead, drive 10 miles up Boreas Pass Road – and enjoy the expansive views – and start your ride at the trail marker (Trail #698). Riders will not be disappointed. Prepare for diverse and colorful downhill and big smiles! 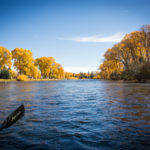 Load up the fishing rig or setup the standup paddle board (SUP) because these waterways are worth adding to the fall foliage destination list. 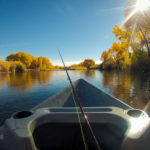 Floating the Rio Grande in fall means cottonwood-packed riverbanks flush with golden yellow leaves! It also means big brown trout for the anglers out there. Consider bringing your own boat, raft, canoe or SUP or book a guided trip through a local outfitter. 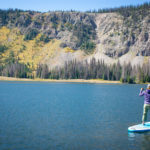 Easy access off I-70, great views of aspen-covered hillsides, and countless microbrewery and restaurants options – Dillon Lake is a great option for a quick trip from the city and mountain town locals, alike.